Beautiful top floor penthouse unit with incredible Atlantic Ocean views. Watch the dolphins, right whales and other sea life passing through! With the beach boardwalk right next to the building your feet will be in the sand in seconds!!!! Completely remodel ! The best of the best in Cinnamon Beach - Casa Bella!! Endless Signature Ocean and Golf front views throughout this splendid, corner property in the highly desirable 500 Building! Come and enjoy this top floor completely remodeled oceanfront beauty!! From the floors to the ceiling and everything in between - no expense spared!! 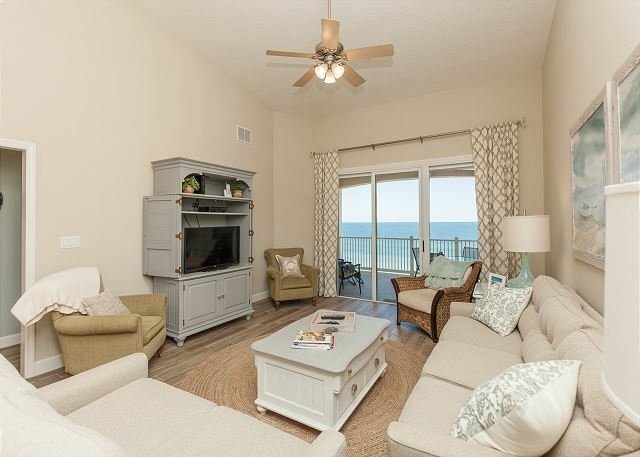 If you like the ocean, the salt air and a bright and roomy living space Unit 525 is for you! The largest floor plan in the community with beach access right beside the building - CB 525 is the spot !! Enjoy sensational views of the Atlantic from this beachfront condo in Cinnamon Beach at Ocean Hammock. Enjoy your morning coffee on the big balcony overlooking the golf course and the ocean! Newly decorated come stay!!! Beautiful top floor direct oceanfront unit in the highly desirable 900 building. Enjoy staying in the closest building to the pools at this roomy property! Newest offering from Cinnamon Beach Vacations - A MUST SEE!! Enjoy this impeccably remodeled property from the ceiling to the floors. CB 624 is a Direct Oceanfront coastal gem!! Just a short stroll to the world class amenities in Cinnamon Beach!! We are proud to present our newest offering from Cinnamon Beach Vacations. The community's premier rental agency!! Completely remodeled Direct Oceanfront Unit 722 steps to the sun and sand !! Enjoy over 2000 sq ft of roomy oceanfront comfort from this 3rd floor highly desirable corner unit!! Short walk to the club pools and amenities and just steps to the surf and sand! Come see Cinnamon Beach Vacations newest offering - DIRECT OCEANFRONT UNIT 532!! New owners took great pride in this completely remodeled gem! !